Today on Broker Tour I saw a number of properties on the south side of the city in Glen Park. I’m bringing my new listing on the market at 125 Randall Street in Glen Park this Saturday and Sunday from 2-4. I like to see the competition. What I learned is that there isn’t anything on the market right now quite like my unit in this neighborhood. It’s an Edwardian two bedroom condo in a two-unit building, loaded with charm and rich with original details. In my experience, it has what every first time buyer is looking for. It is located in sought after Fairmont Heights, where Glen Park, Noe Valley and Bernal converge. The living room has a wood-burning fireplace, large bay windows, and oak floors. French doors lead to an adjacent formal dining room. There is a beautifully designed chef’s kitchen with quartz-like counters, a Wolf gourmet stove, stainless steel appliances, a wine cooler and a built-in kitchen nook. There are two bedrooms in the back, one of which leads out to a deeded spacious deck and shared lush yard with fruit trees. There is a newly renovated bathroom and potential to add a second bath. An in-unit washer and dryer and one car side-by-side parking plus substantial deeded storage are also included. This is a pet friendly building. 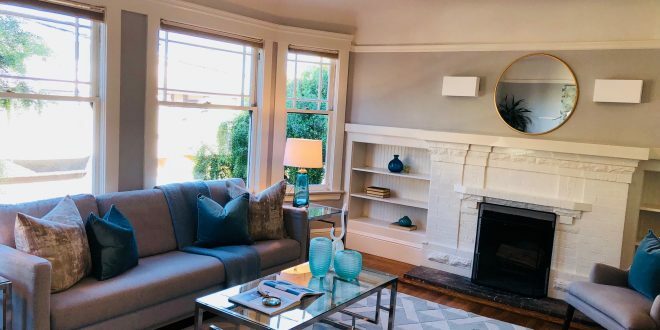 It is near Outer Noe’s Gourmet Gulch and the Mission’s trendy restaurants plus great transportation like the J-Church, BART, and tech shuttles. Properties on the market are moving quickly these days. Three of the properties I saw had between 9 to 20 disclosures out and were looking at offers this week. Don’t miss this beautiful condo! Let me know if you’d like to set an appointment for a showing! Previous: Coming Soon to the Market! Next: Dear Potential Buyers…Here Is Something We’d Like You to Know About Our Neighborhood!